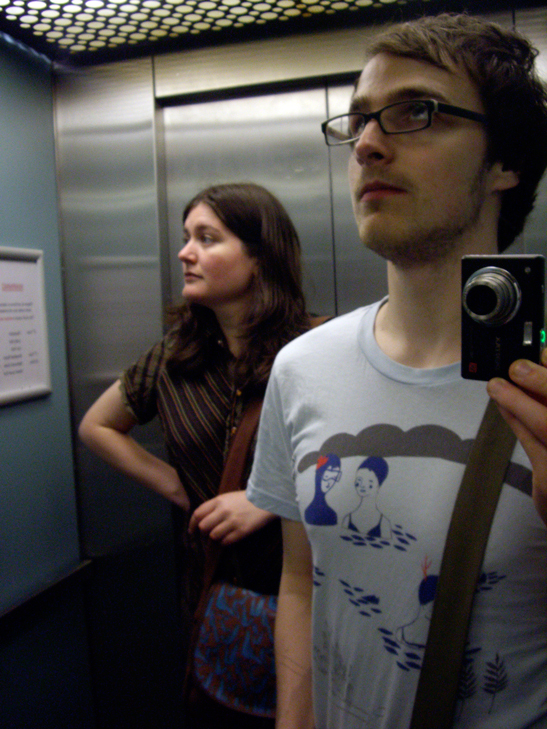 Garth and Ginny Jones met at Newport in 2002, when Ginny was starting her BA in animation, and Garth was in his first year of a Graphic Design BA. Sometime in that first year Garth said to Ginny ‘I wish I could do a course which combined graphic design and film making’, Ginny replied “Like animation?”. The following year Garth began his first year of the Animation BA course. What have you been doing since you left Newport ? After Garth graduated, they both moved to London. Ginny had work experience at Nexus Productions, and Garth had freelance work with at Tandem Films. The pair worked as freelancers in London for two and a half years, under many great directors, constantly learning and improving their skills. Garth working mainly in motion graphics/illustration and Ginny as a Flash character animator. In 2007 Garth and Ginny decided to direct an E Sting together, combining Garth’s Graphic sensibility and Ginny character animation. The short sting was well received, being short listed by Channel 4, airing on e4, and featuring in Pictoplasma’s ‘Characters in Motion’ animation festival. 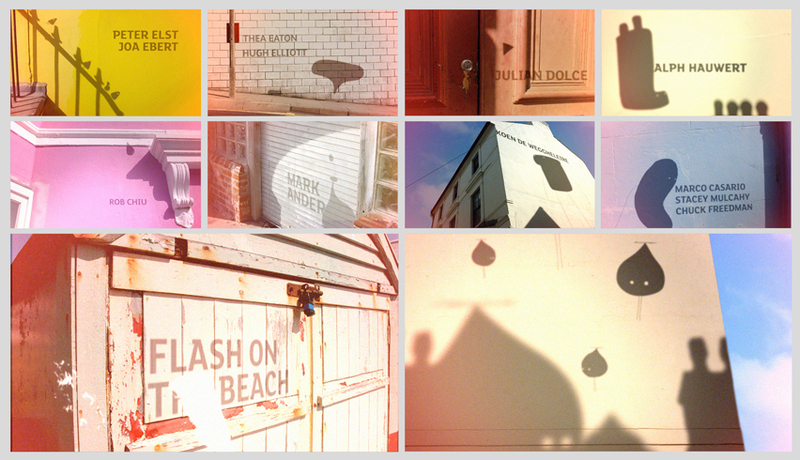 In 2008, the duo moved to Brighton and continued working together as directors for design studio’s in Brighton, including creating the title sequence for the acclaimed ‘Flash On The Beach’ conference. In 2010 Garth and Ginny got married, and being animators celebrated by making a music video for musicians; Three Trapped Tigers, with their friend Sam Bourner. Incredibly the music video was widely blogged and screened at festivals, and the team of Sam, Garth and Ginny, set up a studio together called ‘Persistent Peril’. Persistent Peril is now in it’s second year. 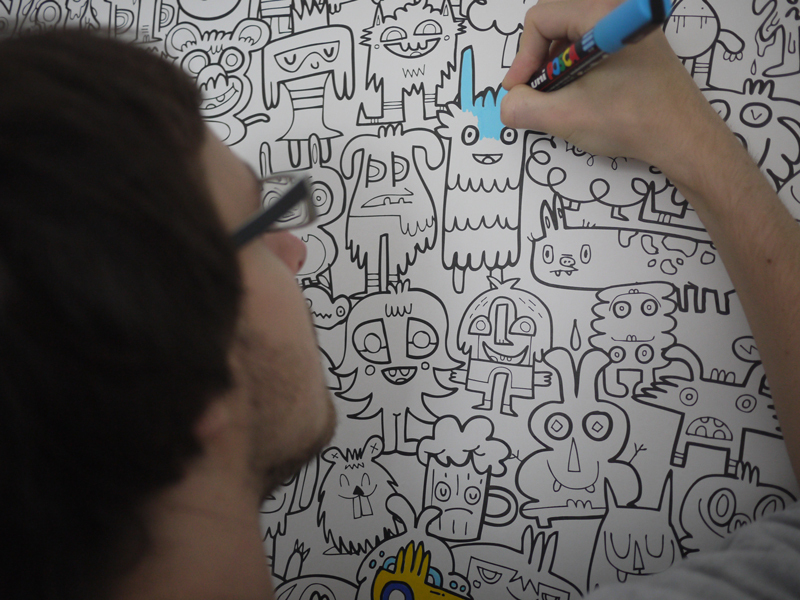 We have a small studio in central Brighton, colour in the walls and drink numerous cups of tea whilst creating character driven animation. We’ve created a variety of projects including corporate films, broadcast, and more recently live events. What did Newport do for you?! Without our time at Newport, we would have never had had the drive or ambition to try our luck as directors. The animation course at Newport teaches students not only the core skills to animate, but more importantly the art of film making and working as a team by playing to your strengths. This skill is becoming increasing rare in animation and we will always be grateful to the wonderful lecturers at Newport for their encouragement. Thanks Garth and Ginny – Good luck with the studio!